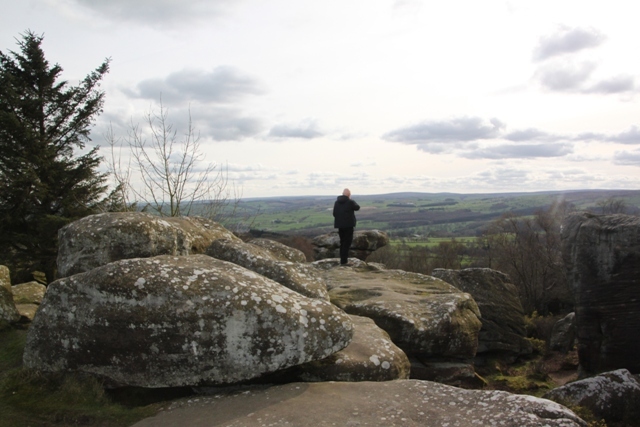 This place turned out to be a bit of a surprise – meant to be a Yorkshire stopping off point on a long car journey, we thought we would find a few rocks, a place to stretch our legs for half an hour and a cafe. 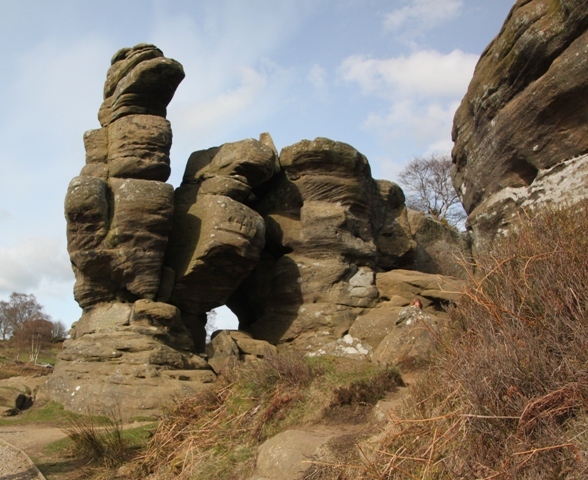 That we did discover, but so much more – some of the most spectacular rock formations scattered over Brimham Moor – mind blowingly unreal and just not something you would ever expect to find in the English countryside. 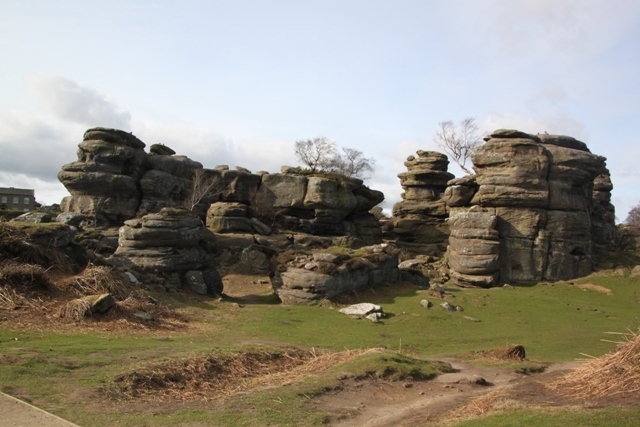 Not far from Harrogate but a world away we found 50 acres of moorland with a weird collection of rock formations, sculpted by the wind, rain and ice these sandstone outcrops dominate the area. Part of the fun for us was spotting what the rock formations could be – they all have names. Son spotted the “Turtle” immediately, the Eagle and the Smartie Tube proved a little trickier to find. 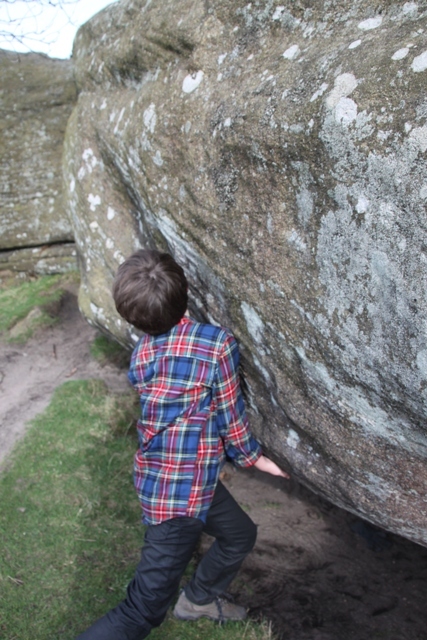 The whole place is like a big outdoor 100% natural playground stuffed with obstacles to climb and explore and loads of space to roam – Son could hardly believe his eyes and set to climbing immediately. The absence of danger signs was very refreshing – quite the novelty these days having to use common sense and not rely on patronizing instructions to keep you alive. 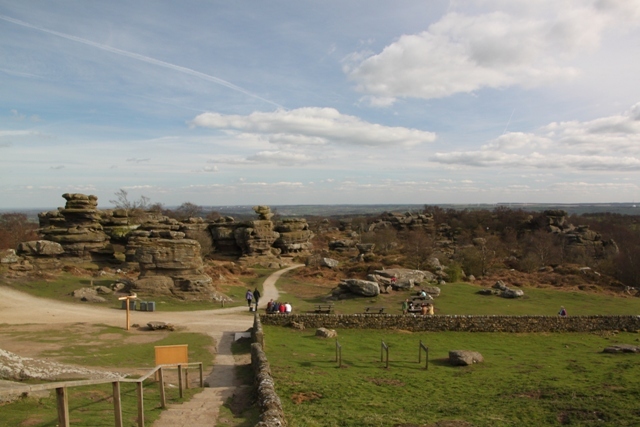 Plenty of climbing and clambering for all of us followed by a spot of sitting back to enjoy the Yorkshire countryside spread out below – we all loved this place. There were some experienced climbers on the higher rocks with all the kit to check out too, if you wanted to see how the experts did it. 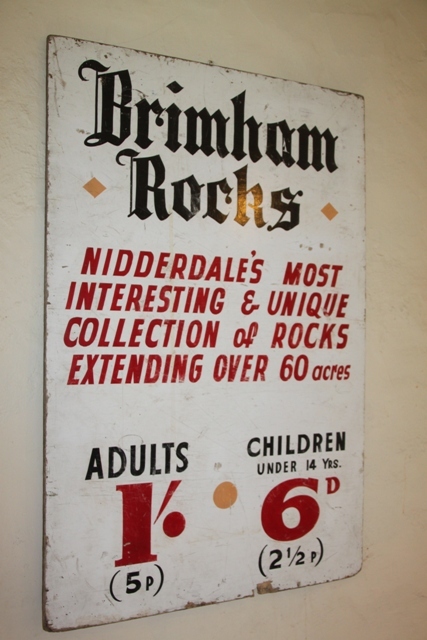 The rocks seem to go on forever, at the top of the hill we found Brimham House – a little visitor centre with bits and pieces about the history of the area and a small exhibition. 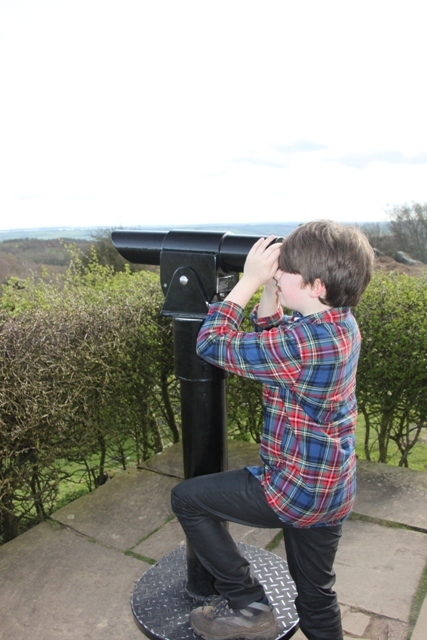 Amazing views up here too – on a clear day you can see as far as York Minster (we couldn’t) but we did spy Menwith Hill US air base. Oodles of picnic spots and plenty of places to relax, but with an energetic ten year old this was not on our agenda (unfortunately). We spent at least a couple of hours here in the end. What started as a stop-off actually became a destination. 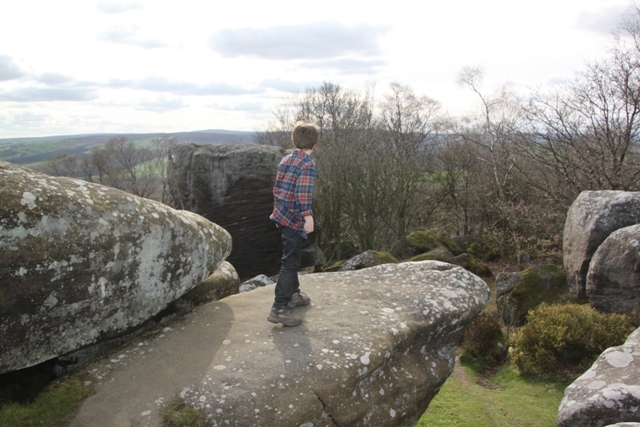 Brimham Rocks rocks was Son’s verdict. What a beautiful and interesting place! I wish I had had the opportunity to see it when I visited England eight weeks ago. Definitely worth a visit if you ever get the chance to make it to Yorkshire Phil! Never been to the Badlands (unfortunately) but I imagine them definitely to be a bit like this! 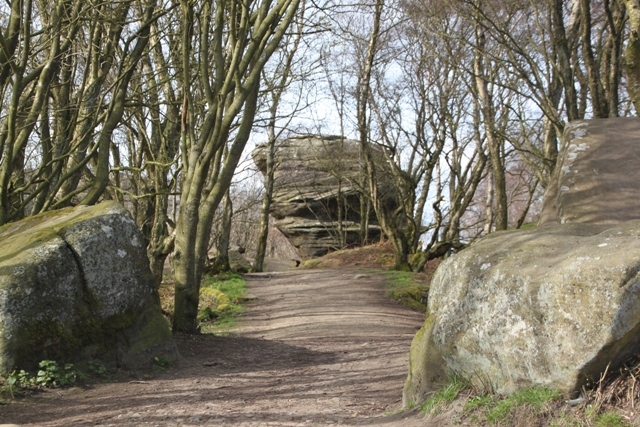 I adore Brimham Rocks! 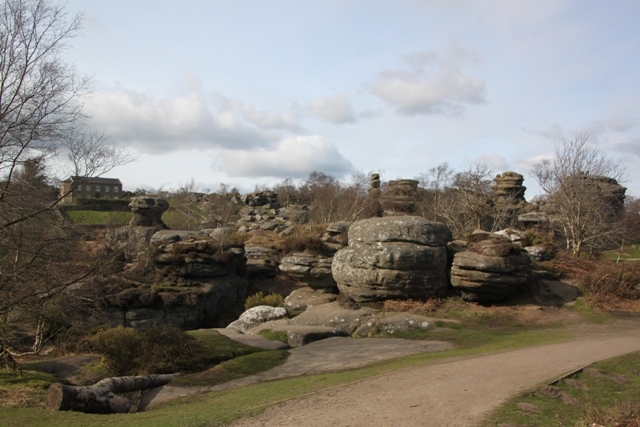 I spent many hours there as a teenager hanging out with my friends and now when we go up to Harrogate to visit the grandparents we often take our two boys to Brimham Rocks – they love climbing on the rocks. And yes, you’re right about the absence of “Danger” signs. The views from the top are stunning. It makes for a very full day out if combined with Fountains Abbey which is nearby. I can’t believe we didn’t know about it until now Margarita! We had such a great time there and definitely plan to go back. Fountains Abbey also on the list so thank you for the tip to combine the two – sounds like a great plan. So beautiful and unique! Isn’t it wonderful when you find surprises like this!?!? Definitely Diana, the best kind of surprise! Ohhh, I love this place, and also Pateley Bridge, a town just a few miles from it (boasting the World’s Oldest Sweet Shop and an awesome antique store). Thanks for the memories, and I’m glad you all enjoyed it. Yorkshire is so beautiful. 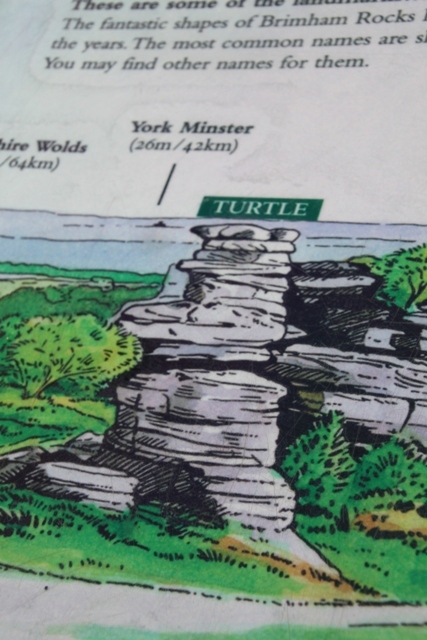 Never been to Pateley Bridge but I think we will definitely have to check it out – sounds right up our street! Looks like a fun place to go to with the family! Love the turtle rock. It was such a lot of fun, the rock shapes are awesome and that turtle was probably my favourite! He requested that one specially!! 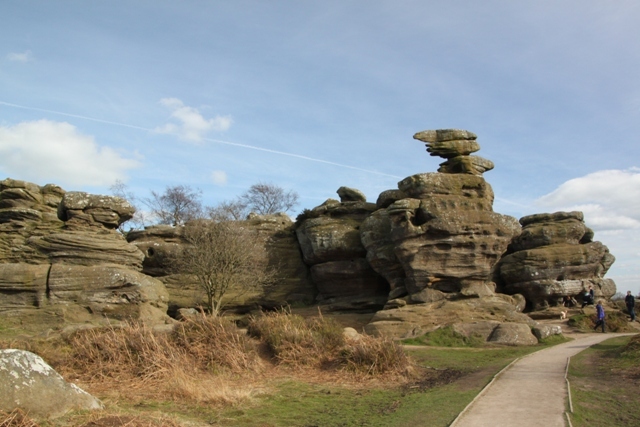 Oh, we visited Brimham Rocks last year, and loved it. We got there really late, when they were almost closed already, so we didn’t get to see everything. But what a delightful, adventure-filled place! We were so thrilled we stopped here, it’s such a great place! Wow, what a cool-looking place! I have a friend who lives in Harrogate and he’s never taken us there. Words will be had! It’s fantastic – you must get him to take you after he’s explained himself!! Gosh how spectacular! My parents live in Harrogate (indeed I was born and brought up in Yorkshire) and yet I’ve never been here. You can see them from the road between Leeds and Harrogate and they are signposted. Just goes to show when you live in a place you can take things for granted! I must try and make amends next time I’ve over in Yorkshire visiting the family. Interesting post thanks! They are stunning, you should definitely go if you get the chance! 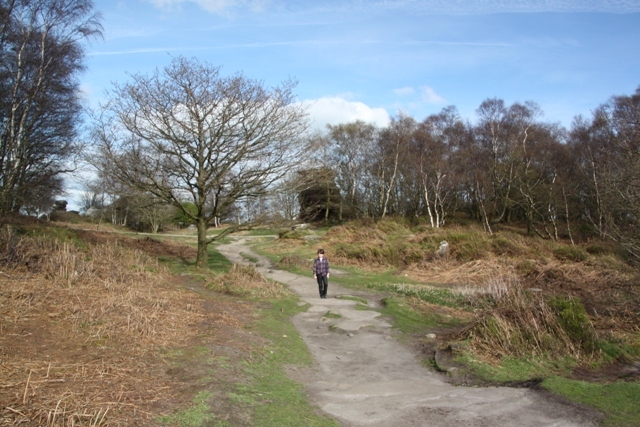 Know just what you mean about taking things for granted though, we’ve just been to a local beauty spot on a visit to my parents and were blown away, despite the fact I grew up 10 miles away I had never been before. Next time “I’m” over in Yorkshire I meant to say typing too quickly! Looks just perfect for kids (and yes – common sense – how refreshing). Both our kids would absolutely love this. So nice to have kids run wild and free outdoors – it is a fantastic place. The wild and free is one part but also the way it looks like some giant dribble castle. 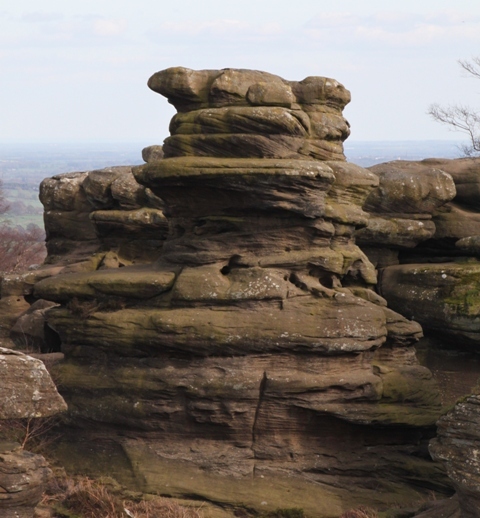 Love the post – know the rocks well. Even more mind blowing when its all dusted with snow & ice on New Years day! Would love to see them like that – it will have to go on “the list” for a New Year trip, thank you for the tip!! 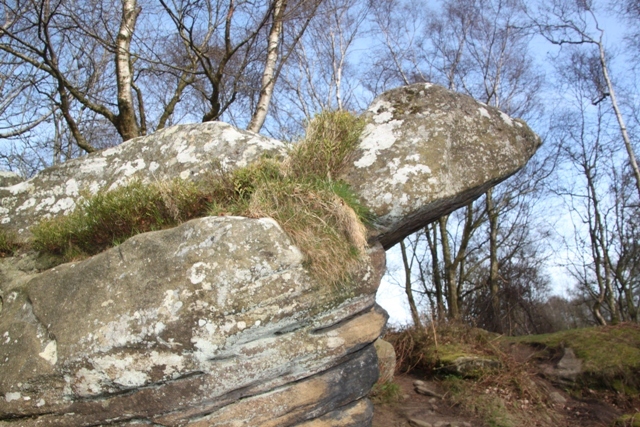 I never knew they had these sorts of rocks in England either Maria until I went there! Totally agree about the mushrooms too, that’s exactly what we thought. Can’t believe we never knew about this place before and just stumbled upon it! It’s a top spot for kids (and adults!). Thanks for a great reminder of a childhood favourite place! Always seemed a bit otherwordly. Otherworldy is definitely what we thought it was like here, such a great day out we loved it. Thanks for dropping by! Such a cool place isn’t it – we had the best day out there! Thanks for dropping by.